Dr. Nicol Turner Lee is a fellow in the Center for Technology Innovation at the Brookings Institution, and a contributor to TechTank. She comes to Brookings from the Multicultural Media, Telecom and Internet Council (MMTC), a national non-for-profit organization dedicated to promoting and preserving equal opportunity and civil rights in the mass media, telecommunications, and broadband industries, where she served as vice president and chief research and policy officer. Prior to joining MMTC, Dr. Turner Lee was vice president and the first director of the Media and Technology Institute at the Joint Center for Political and Economic Studies, the nation’s leading think tank on issues related to African Americans and other people of color. At the Center for Technology Innovation, Dr. Turner-Lee researches public policy designed to enable equitable access to technology across the U.S. and to harness its power to create change in communities across the world. Dr. Turner-Lee’s research also explores global and domestic broadband deployment, regulatory, internet governance, and privacy issues. She is also an expert on the intersection of race, wealth, and technology within the context of civic engagement, criminal justice, and economic development. Dr. Turner Lee holds a PhD in Sociology from Northwestern University and is a graduate of Colgate University. She is currently a visiting scholar at the Center for Gender Equity in Science and Technology at Arizona State University. She also serves on the U.S. State Department’s Advisory Committee on International Communications and Information Policy (ACICIP) and the FCC’s Advisory Committee on Diversity and Digital Empowerment. 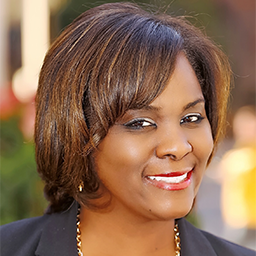 Dr. Turner-Lee is active on the boards of various nonprofit organizations, including the Telecommunications Policy Research Conference (TPRC) where she serves as Vice Chair.